A view of a train accident site on the Great Belt Bridge in Denmark. Six people were killed in a train accident on a bridge linking two of Denmark’s main islands on Wednesday, train operator DSB said. 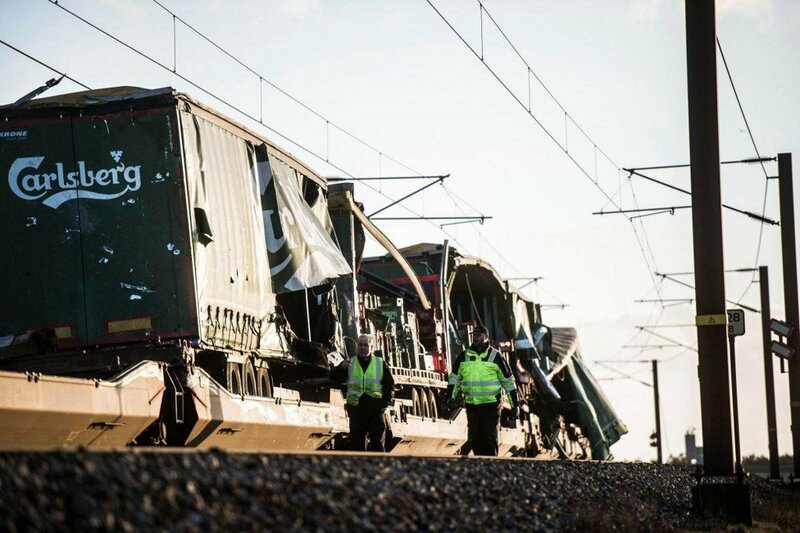 The passenger train was heading towards the capital when it was hit by objects or tarpaulin from a freight train, according to Banedanmark, which is responsible for maintenance and traffic control of the railway network. A severe storm made it difficult for emergency services to reach the train which had stopped on the Great Belt fixed link between Zealand and Funen, Denmark’s two major islands. Police told a press conference it could not confirm the death toll or disclose how many people were injured. An emergency center was established in the town of Nyborg at the western end of the bridge. Fatal accidents are rare on the country’s highly developed rail network. The 18-kilometer long bridge across the Great Belt carries around 21,000 train passengers every day and more than 27,000 vehicles crosses the bridge each day.